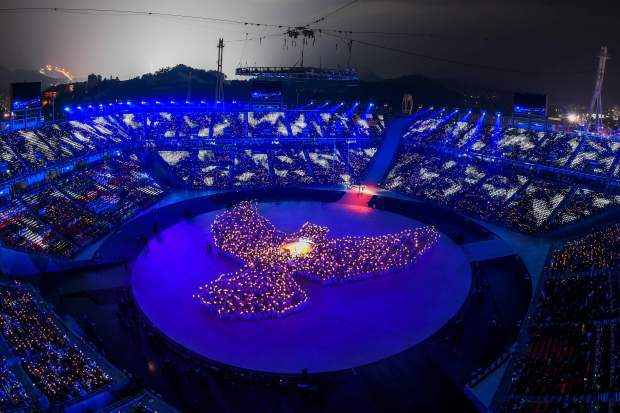 The 23rd Winter Olympiad in Pyeongchang, South Korea had a reoccurring theme of Peace, as was evident from the Opening Ceremonies. It was well known that athletes from North and South Korea would march as a unified team into Pyeongchang Olympic Stadium. One of the draws for casual sports fans to watch the Olympics is the Opening Ceremonies. The pageantry of the Opening Ceremonies, as expressed through artistic expression as well as thematic choice sets the mood for the Olympic Games. Afterwards, there is the Parade of Nations, when all of the competitors gather in a gesture of unity and good will. During this long march of nations, television viewers often have to endure commentary from NBC announcers to add color and context to the visuals. Often this dialogue is pap or seems scripted. 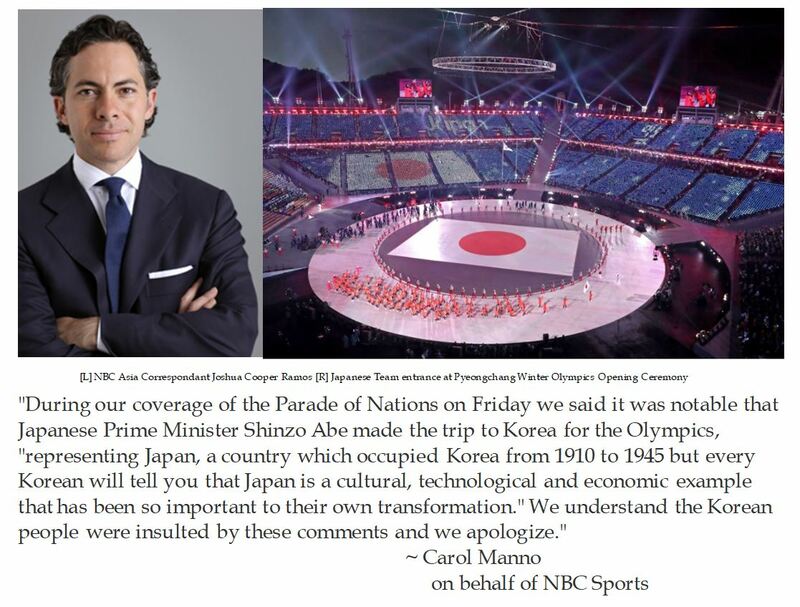 However, when the Japanese team made their debut at the Pyeongchang Winter Olympics, NBC Asia correspondent Joshua Cooper Ramos offered an incredible generalization. Ramos claimed that Koreans looked with admiration to Japan as an important example of cultural, economic and technological transformation. Several hours after uttering this insensitive and insulting insinuation, NBC Sports issued a hasty apology. NBC paid $967 million for broadcast rights for the Pyeongchang Winter Olympics, and it would seem that they did not want to insult their hosts. With that in mind, one wonders why NBC keeps pushing North Korean propaganda while covering the Winter Olympics. No doubt that a unified Korean team marching during the Parade of Nations was a big story. It epitomizes the international aspiration of brotherhood and exemplifies the Pyeongchang Game's theme of Peace. It is understandable that an Olympic broadcaster would want to capitalize on controversy by showing how close Vice President Mike Pence was seated to North Korean Kim Jong Un's sister Kim Yo Jong during the Opening Ceremonies. The coverage of the North Korea cheerleaders during the womens' hockey game between Korea and Switzerland does raise eyebrows. It was a cute featurette to have a piece about the some of the 200 woman squad of the North Korean "Army of Beauty" cheerleaders leading chants during the 0-8 rout of Korea. Some say that the synchronized chants of the North Korea Beauty Cheerleaders stole the show. But what what telling is what they chanted and how they performed. These NPDK cheerleaders chanted "Unity" waving "neutral" flags of a unified Korea. After each goal by their opponent, they chanted: "Cheer up!". Perhaps that exemplifies a cultural trait. What has been shown but little explored are instances in which the female Beauty Squad use big heads of a Korean man. Hmm. Who could this be? It is dubious that it was an everyman Korean. The Big Head looks rather like an idealized image of North Korea dictator Kim Jong Un. What does it say about the consequences of "Unity". Is that something that all Koreans also believe? UPDATE 02/12/2018 BBC News quotes Korean media that the DPRK Army of Beauties cheerleaders were holding up big heads of Kim Il-sung, the grandfather of North Korean dictator Kim Jong Un (the first of the Hermit Kingdom's Juche post World War II dictators). Yet the South Korean Unification Ministry insists that the cheerleaders were just holding up cut outs of "a good looking man". The 23rd Winter Olympics in Pyeongchang, South Korea are themed to be the games of peace. This was accentuated by athletes of the Republic of Korea (South Korea) marching with their Democratic Peoples Republic of Korea (North Korea) counterparts under a unified flag. Due the doping ban on Russian Federation, the 169 clean Russian athletes marched as neutrals in red and grey uniforms as neutrals. Any gold medal winning "Olympic Athletes of Russia" will be feted with the raising of the Olympic flag and anthem. While the 2,952 athletes participating in the Pyeongchang games are the best winter sport athletes in the world, but only a few make it up to the medal stand to receive their glory. For most, marching in the Winter Olympics opening ceremony is the highlight of their careers. 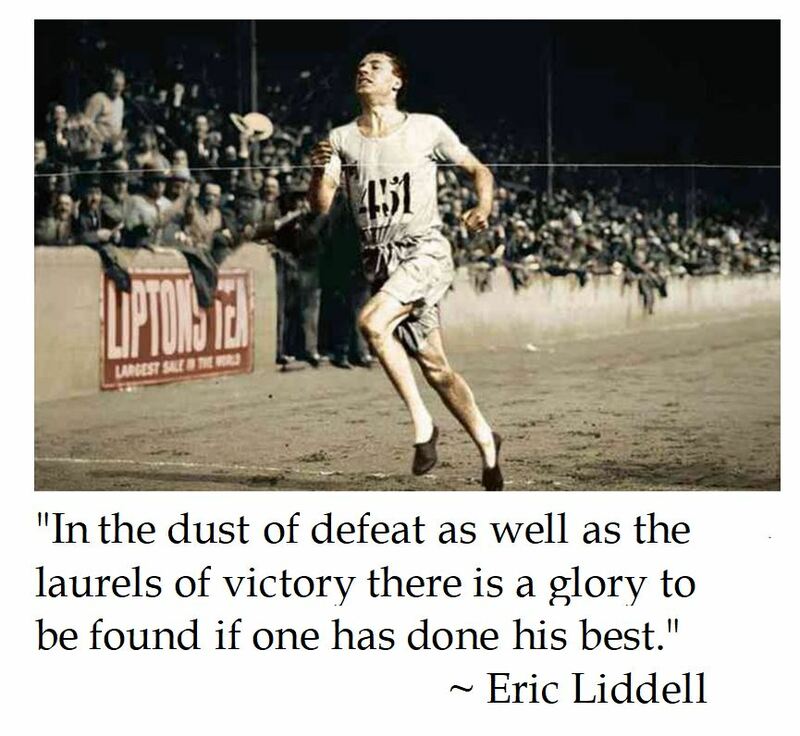 This makes Eric Liddell's admonition about glory all the more poignant. What is particularly noteworthy of Eric Liddell is not that he was the the Flying Scotsman was the first British Gold Medal winner in track from 1924, or that he was the basis of the film Chariots of Fire (1981), or his steadfast Sabbath keeping, but for dying as a missionary in a Japanese internment camp in China in 1945. We should all be inspired to run a good race in life and doing our best. February 2nd marks 40 days after Christmas. On the liturgical calendar we celebrate the Presentation of Our Lord at the Temple, the traditional close of the Christmas season. It is also known as Candlemas, as the faithful traditionally processed into the church sanctuary with Candles. This ceremony re-presenting how the Mary and Joseph brought Jesus, the Light of the World, into the Temple. On the secular calendar, we celebrate Groundhog Day, awaiting the predictions of Punxsutawney Phil from western Pennsylvania on whether there will be six more weeks of winter (not Black History Month as some wags have wondered). This makes sense as it roughly is midwinter (especially prior to the Gregorian calendar adjustment of 1752). Unbeknowst to most, Groudhog Day has a direct connection to Candlemas. 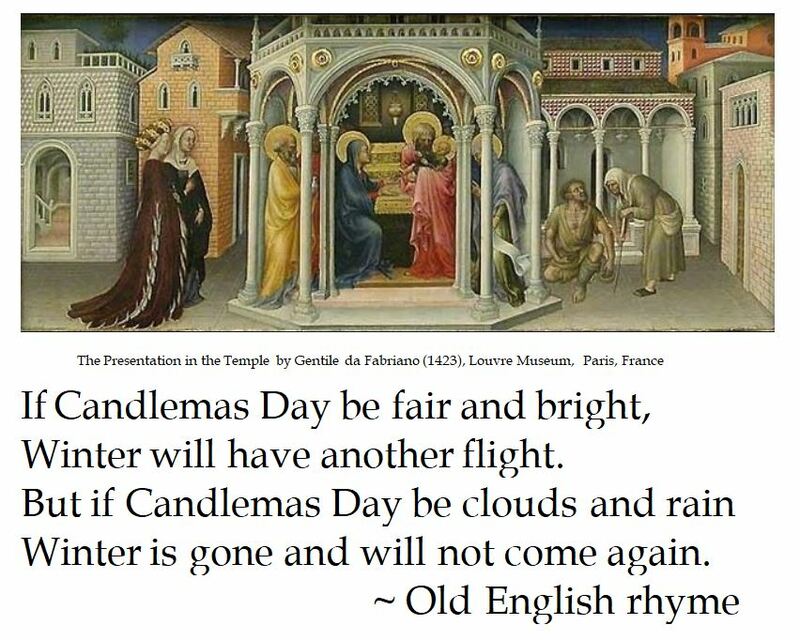 In eastern Europe, which focused on light and candles, there was a folk association between how much light was in the sky on Candlemas and God's providence in the months to come. Thus they believed that if there was a lot of light in the sky on February 2nd, there would be 40 more days of winter. Germanic peoples used an animal as their light detector, typically a hedgehog or a badger. When they immigrated to America, they adapted their instrument and used the plentiful groundhog.